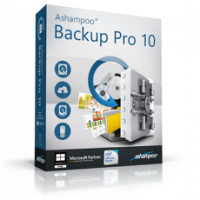 Ashampoo Backup Pro 10 allows you to store your data wherever you like. Single files or entire disk partitions (e.g. your system drive), the choice is yours. Ashampoo Backup Pro 10 guarantees simple handling and maximum flexibility! Original Flash Player from Adobe download links.